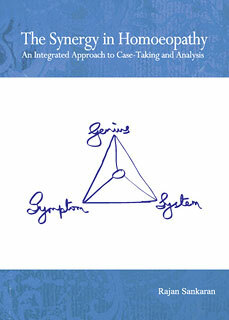 This book most certainly lives up to its name in providing an integrative approach to case-taking and analysis. Drawing on more than thirty years of practice in a busy clinic, Rajan Sankaran, together with his team of colleagues, gives a complete overview of the possibilities open to us during a consultation, constantly reminding us to make use of each and every one when needed. With a very solid traditional training as the basis of his practice, Sankaran has gone on to develop new techniques over the years, making it possible to delve deep into the inner life of the patient and to find remedies that have not even been proved yet. His Sensation method appeals to the artistic side of many practitioners, encouraging them to follow the patient on an inward journey to the source, in a rather meditative manner. This method has shown spectacular results and has gained much popularity in recent times. Its apparent ease, however, has also made it susceptible to an over-simplification of the science of homeopathy by those who might look for short-cuts to the remedy. One tends to forget, while watching a master at work that many years of sheer hard work and a variety of techniques lie behind the deft prescriptions. This oversight has led to frustration and failure on the part of those who dabble in new methods, with the tendency to later dismiss them as worthless, and it has also brought on scorn by the inevitable critics inside and outside homeopathy. There has been an increasing division in homeopathic circles, with some claiming to follow only one new method and others exclusively using more traditional ways of repertorising. We, as homeopaths, claim to be holistic and to see the bigger picture, and yet, we have also the tendency to narrowing our scope into that which is comfortable and safe. Therefore, a book which reminds us to remain awake to every possibility is most welcome. Starting from the basics, Sankaran discusses the numerous ways in which it is possible to find a remedy. He jokes that he does not always believe in the “Sankaran method”, and those who have had the pleasure of sitting in on his practice will confirm that he uses a variety of approaches, all in accordance with the needs of the patient at that moment. Not every patient is capable of going to the depths necessary for a sensation analysis and it is usually counterproductive to try to force someone to do so when it is evidently not his/her path. Nor is it always necessary, since many excellent prescriptions can be made on the basis of physical symptoms and keynotes, for instance. It is also not always necessary to have lengthy consultations, as much information can be gained along the way simply by keeping all one’s senses open. Sankaran discusses the wide variety of techniques that he has learned to utilise during his many years of practice. He stresses the need for accurate observation rather than interpretation, listening for the melody that lies behind the words, and the commonality that binds the various symptoms together. He gives many examples of where one could potentially go wrong, for instance by taking the words too literally rather than understanding what is behind them. He emphasises “good curiosity”: the desire to understand the patient as opposed to the desire to find a remedy. He shows how to focus the case on its “hot spot”, and to round out the case in every way so that the information represents the totality of the patient and not just one part, such as the emotional life. He discusses the accurate and artistic use of the repertory, as well as its limitations. All this leads up to a presentation of that which is illustrated on the book’s cover, a triangle representing the genius of the remedy, the symptom, and the system, all of which form the three legs of the stool on which the remedy rests. Various case examples demonstrate how these three work together synergistically to support an accurate prescription. In the case of a young woman suffering from depression, who felt forced out of her family due to her sexual desires, the symptoms were, among others, “religious despair alternating with sexual excitement”, the system was “sensitivity, forced out, left out, pushed out, sycotic”, and the genius of the remedy Lilium tigrinum covered these aspects: “nervous, hysterical, sexual, excitable, forced out, heavy feeling”. The book ends with several case illustrations, in addition to the many short examples that enliven the main body of the text. With this book the circle is complete, going from the basics of homeopathic training to its newest developments, and back to its roots, with the advice that the broadest scope is necessary for a successful practice. It challenges us to remain open to the needs of the patient rather than adhering strictly to one method in all cases, for as Sankaran remarks, sometimes a patient might not require homeopathy at all but might do better with counselling, diet or surgery. It hopefully will counter some of the attacks on the modern masters by pointing out the necessity to utilise these new techniques only in a well-grounded manner rather than haphazardly, and it encourages us to unite as homeopaths rather that to foster division in our ranks, since we are all striving for the same goal, each in our own unique way.